Nicky van den Biggelaar won the National Dutch Othello Championship for the fifth time. He qualified for the WOC-team and so did Patrick Aubroeck. There will be a playoff on october 14th to determine the last two spots on the team, third player and female player. 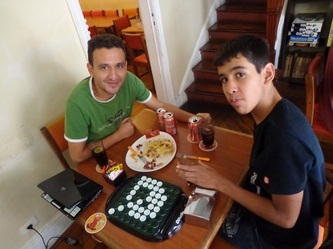 Fabrício Silva , 2011 National Othello Champion, defended his title with succes and won the 2012 Brazilian Othello Championship. Unfortunately the internet connection was bad and none of the games was fully broadcasted on liveothello. 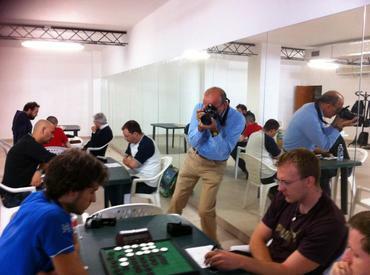 This tourney is a qualifier for the WOC 2012 and counts for the French Grand Prix 2012-2013. 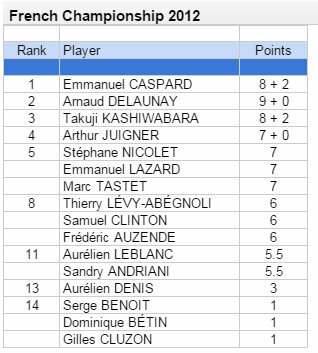 Emmanuel Caspard had most wins after the first day, he won 5 games and had a draw against Marc Tastet. 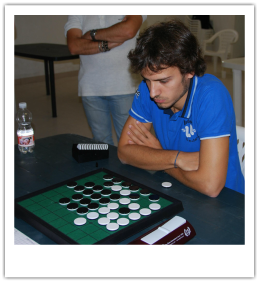 Only Emmanuel Lazard managed to steal a point from him. 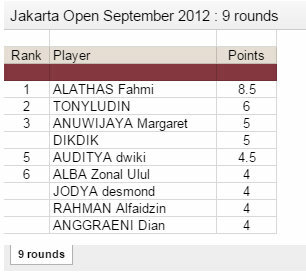 But the standings were shuffled by round 8 on sunday. 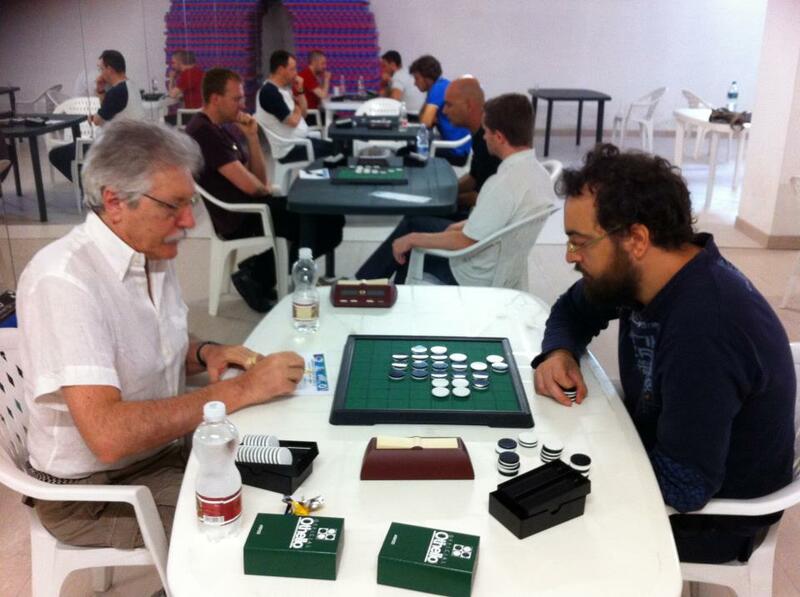 Arthur Juigner won round 8 against Manu Caspard 36-28 and also round 9 against Marc Tastet 41-23. 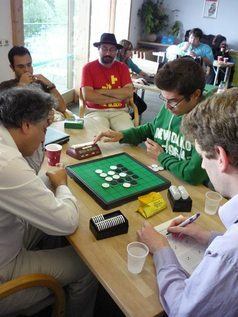 Arnaud Delaunay finshed first after 11 rounds with 8 points followed by two players with 7 points, Emmanuel Caspard and 2011 champion Takuji Kashiwabara. 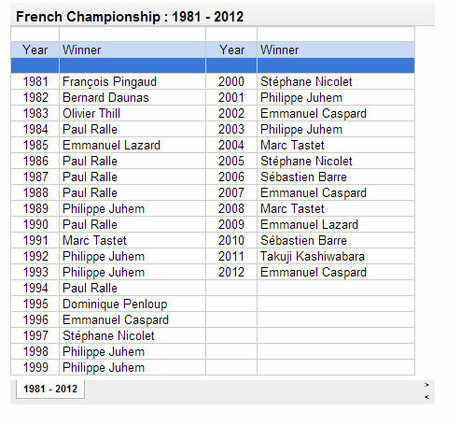 Caspard and Delaunay played the final and Caspard won his 4th French Championship title with 2-0. French WOC-team: Emmanuel Caspard, Arnaud Delaunay, Takuji Kashiwabara. 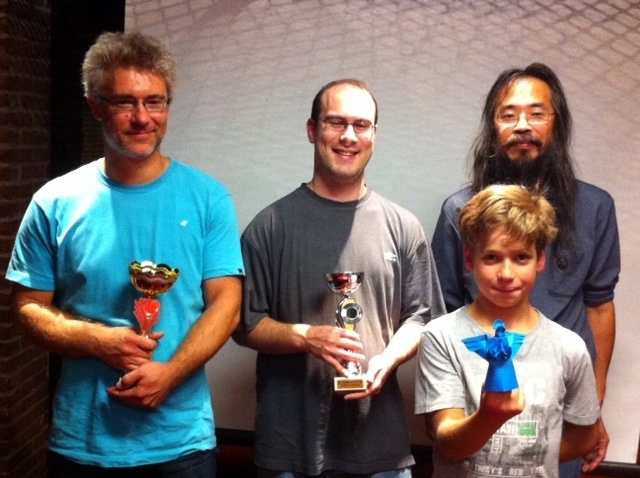 Top 3 Grand Prix de France after this tourney: Marc Tastet (230), Emmanuel Caspard (200), Takuji Kashiwabara (180). 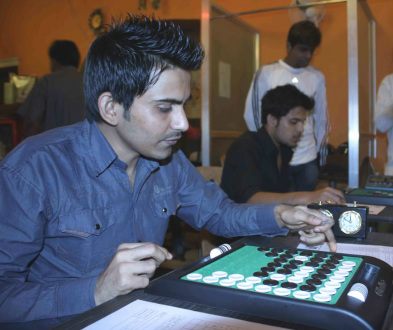 Amar Roy was out in the preliminary round after losing to Tuhin Paul. 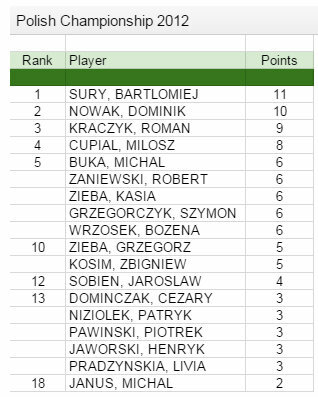 2011 Polish Champion Bartłomiej Sury won all his games in the 11 rounds but he lost the semifinal against Milosz Cupial. He won the playoff for 3rd place with 1.5 point against Roman Kraczyk. Dominik Nowak and Milosz Cupialon played in the final. 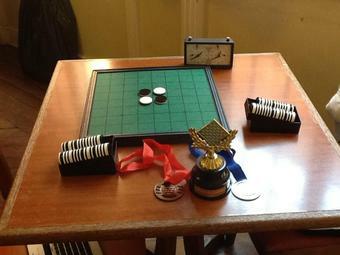 After a very close 31 - 33, Milosz also won the last game 37 - 27 and is Polish Othello Champion 2012. 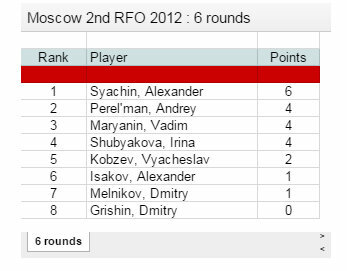 Tourney format: RR 5 rounds. 17 players at this touney. 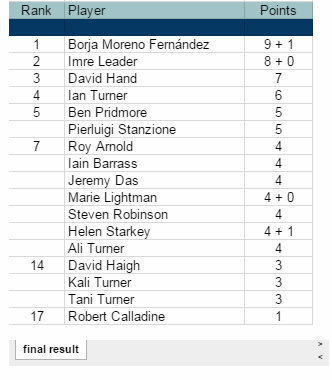 Borja Moreno Fernández leads with 4 points after 4 rounds. Final: Moreno vs Leader. Moreno chose white. Womens Final: Lightman vs Starkey. Lightman chose black. "There is no pressure, no pressure at all" - I told myself. "You won all your games so far, and you are going to play in the final, that's already more than you had hoped for! It's no biggie if you lose." - I insisted, to no avail. 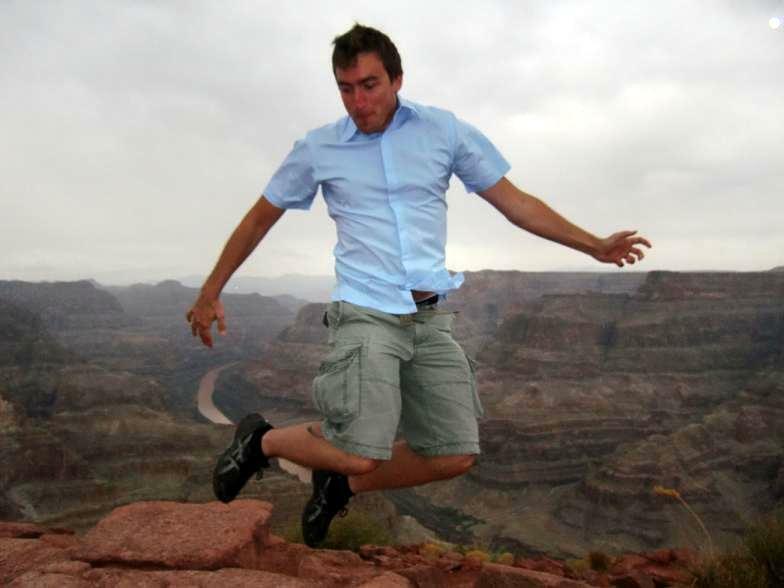 As I sat on my chair nervously bouncing my legs, I realized having reached the final was no longer enough. I wanted to win. 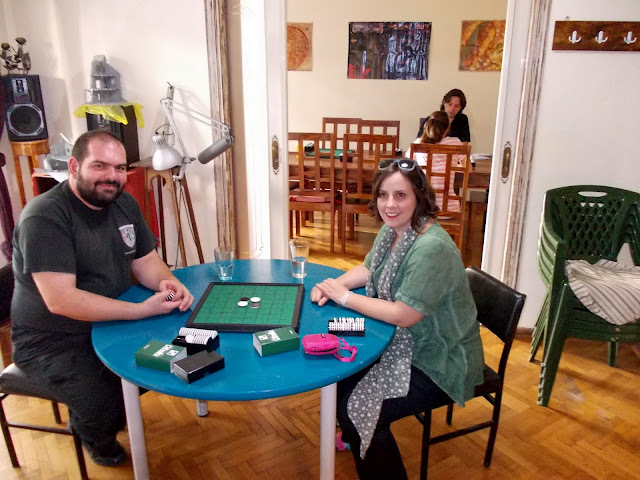 My opponent was the formidable Imre Leader, ten times British National Othello Champion and a much better player than I was. Still, I knew I had a chance. 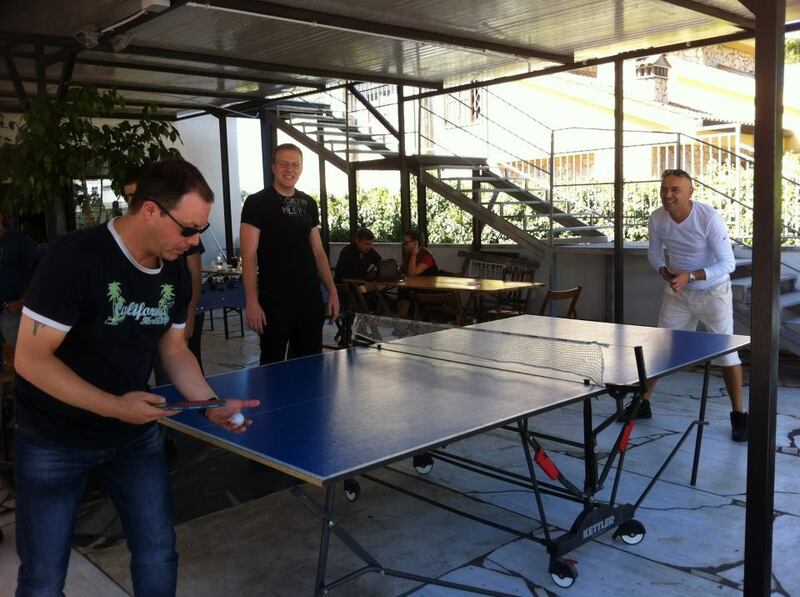 I had beaten him before some times (and been beaten by him many times…). I was playing White. Last year I was living in Cambridge, the same city Imre lives in. As good Othello enthusiasts, we met a few times to play. Each time we would meet for an hour or two and play a few blitz games. When I played White, the game would very often start like this: f5d6c3d3c4f4f6f3e6e7d7c5c6g6f8c7c8b4e3e2d2, and very often I would lose. 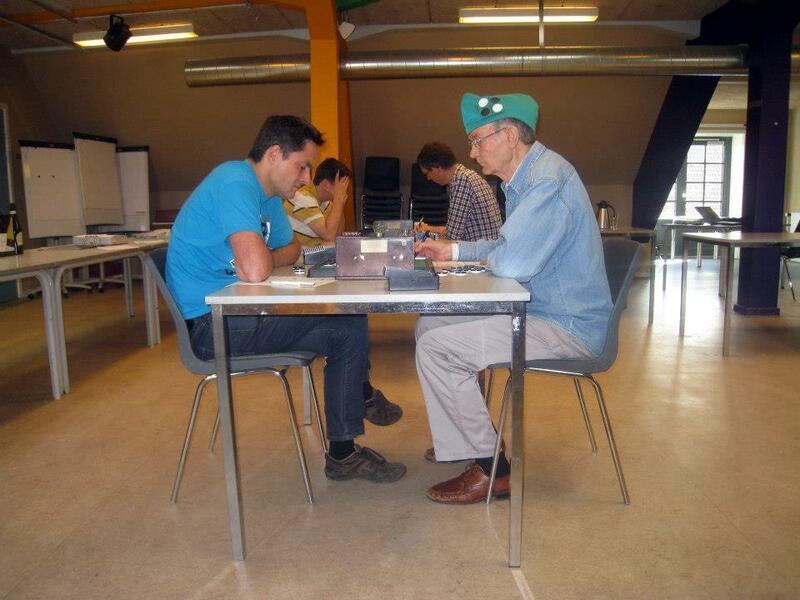 Back home, I would learn the opening a bit deeper, and try to give Imre more of a challenge next time. 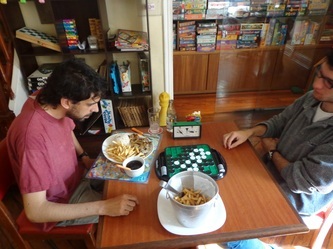 By the last time Imre and I met for some friendly games, I had memorized a 32-move opening, which (continuing from the sequence above) went like this: f2b3b5c2d1g5h6g4g3c1e1. But I was pretty sure Imre knew that line at least as well as I did, for he would play it confidently and fast, and beat me almost every single time. So I thought it would be wise to look at this line in a bit more detail before the tournament. After 32.e1, Imre and I usually went on to play f1f7a6a5a4b6g8, which seemed to invariably lead to horrible deaths for me. But all my moves felt right... where did I go wrong? With some computer assistance, I was surprised to find out that 34.f7 is a losing (-4) move. In fact 34.b6 is the only non-losing move for White (+0). Never had I considered playing b6 instead of f7 at that position. 34.f7 was a perfectly quiet move, flipping only interior discs, which still gave me the chance to play b6 later. 34.b6, on the other hand, took away my access to f7. Surely f7 should be played before b6, I had always naively thought. Well, no (and I am still not sure I understand why). So I knew that the next time we got to that position, I had to play 34.b6. After 34.b6, Black's only non-losing move is a6, so I memorized White's reply to that, 36.a5. After that, I thought Imre was likely to play either 37.a4 or 37.f7, so I familiarized myself with both. 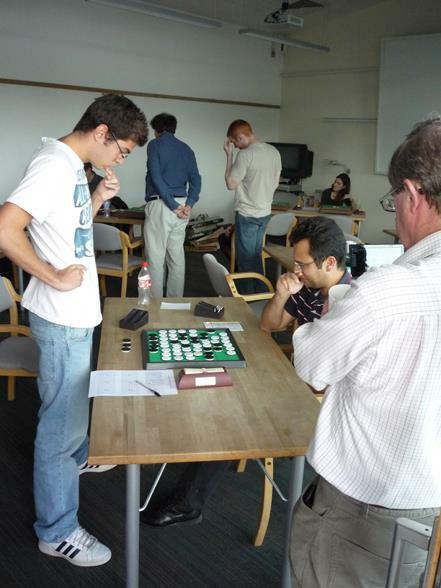 During the final, we got to this position, and 37.a4, 38.a2, 39.f7 was played. 40.b7 was my last book move, which Imre quickly countered with 41.a8 (surely aiming to secure his a8a7 swindle). "Woah! You are never going to have a chance like this to win the British Nationals!" – I thought. I knew I was in a winning position, there were only 19 moves left, and I had something like 20 minutes on my clock. I "just" had to not mess up. 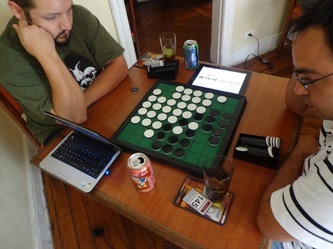 As I usually do when it's my turn to move, I first had a look at my opponent's moves. 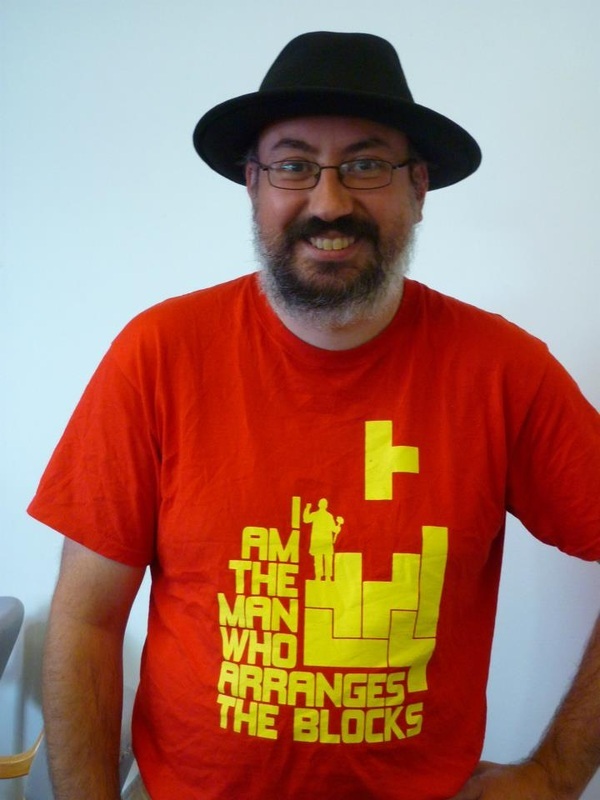 "All of his moves to the East seem to be quite crap, so I want to force him to move there first. But how? There is an even region around a1… wait! Can I treat a1b1b2a3a7 as an odd region so that I am the last to play there and he has to go East first? I can! If I play b2 first and he follows with a1, I wedge in a3. Then it is his choice to go b1 or a7. I will take whichever he decides not to take and then he has to move East. If he decides to follow my b2 with a7 instead, I will go a3. 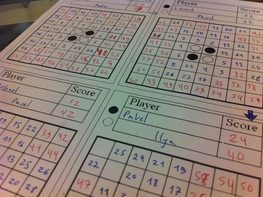 There will be two squares left on the upper-left corner, so he still has to go East first!". And that's what happened in the game: b2a7a3h2. Dude, 15 moves left, and I’m pretty sure I am still ahead. 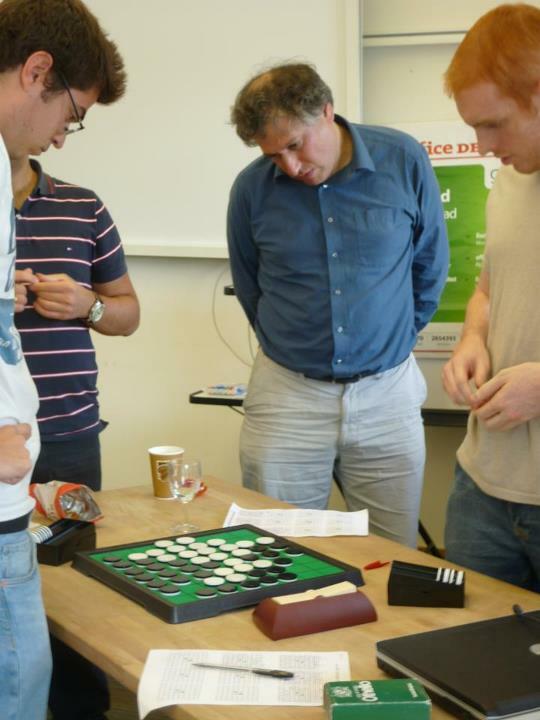 Looking at the board, the only thing that worries me is that Imre could get a swindle at a1b1 if I am not careful. I must not clear the b column (by moving to b8 too early) or the white diagonal. That said, h3 seemed to be my only reasonable option, so I went for it, expecting Imre to follow with h4, after which my plan was to go h5h7g7. Instead, he surprised me with 47.a1. I replied with 48.b1 pretty quickly, for I didn't want him to get all those stable discs in the North edge. 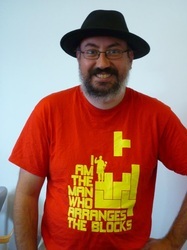 I was quite glad that he had decided to play a1, for the swindle threat was gone now. 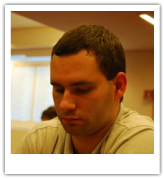 After that, he did play 49.h4. To be fair, I was far from sure what to play next. Many moves seemed reasonable (and looking at it now on WZebra, many of them were, but I did not know that at the time). The clock was ticking and I couldn't make up my mind. I got this familiar feeling "if you do your next move right, you'll win - but you'll probably screw up". 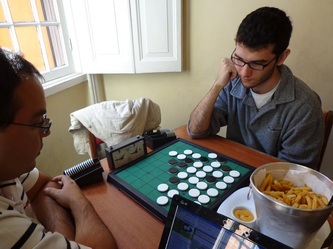 I ended up playing b8, to which Imre replied with g2. I knew I had to either play h1 (playing first into the g1h1h5 triple) or play g8 (taking his access away from h5), or play h5 myself, as otherwise he would play h5 and get parity both on h5's single-cell region and on the h1g1 region. 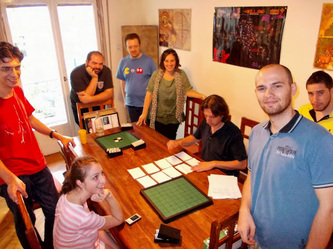 52.h1 I went, and after that we played g1h5. I had more discs than Imre at that point, there were 6 empties, it was his turn, and there were no swindles that I could see. Surely this was mine? It was. g7h8g8h7e8d8 and the game was over, 28-36 to me! Tomáš Douda won his first national title in 2003. He won again in 2008 and the Czech Othello Championship title has been his up till now. Tomáš will have to wait another year to win his 5th National Championship. 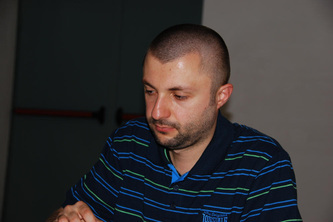 Miroslav Voráček played an excellent tourney. He won all his games in the 7 rounds, won both his games in the semifinals and won 2 out of the 3 games in the final against Douda. This is Miroslav's 8th National title. 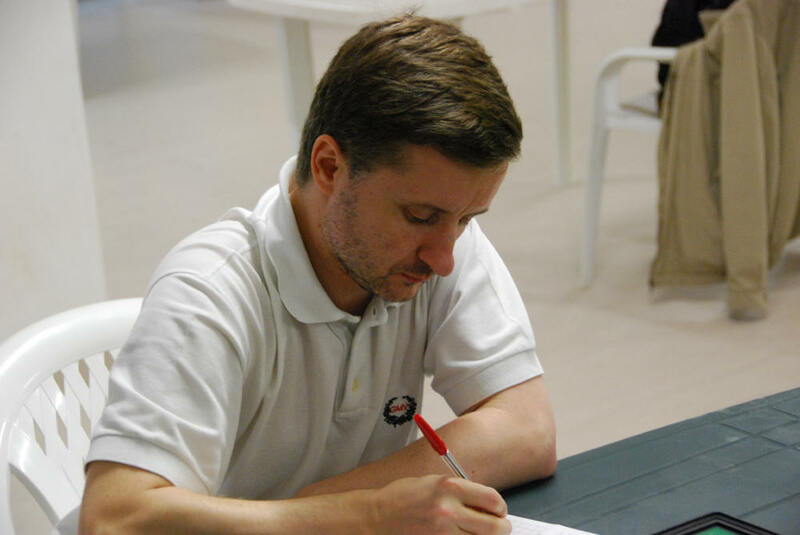 Michele Borassi won the Italian Championship 2012, as he did in 2005. 2006, 2007, 2008 and 2010. 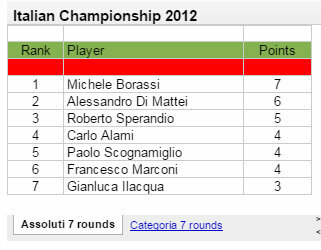 The 2011 winner was Francesco Marconi who won the National Championship 9 times. 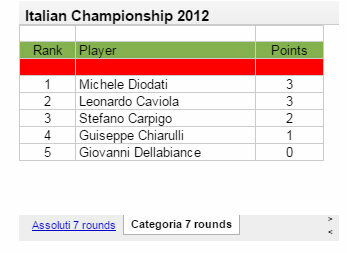 Semifinals Category: Leonardo Caviola (3 points), Stefano Carpigo (2 points), Guiseppe Chiarulli (1 point) and Giovanni Della Bianca (0 points). 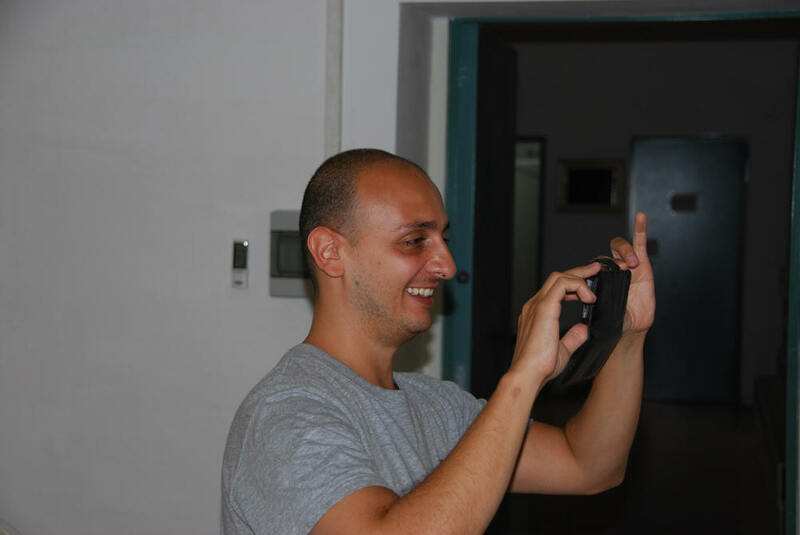 Michele Diodati is unable to attend on sunday. Alami 12 - Borassi 52. Biagio Privitera made 6 wonderful videos fo this event. Shown here are part 5 an 6. 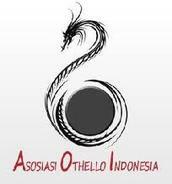 The other four can be viewed on Biagio's video Othello website. 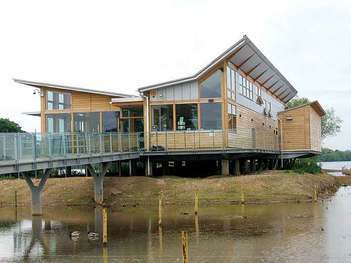 MegaHouse has decided not to sponsor WOC 2012 and the Japanese team. The Japanese team is still heartily invited to represent their great Othello nation at WOC 2012! 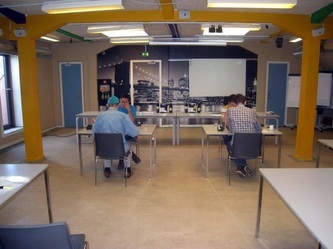 All I can tell is that WOC 2012 will be a great WOC with nearly 80 players held in a very nice venue with a classical WOC feel. 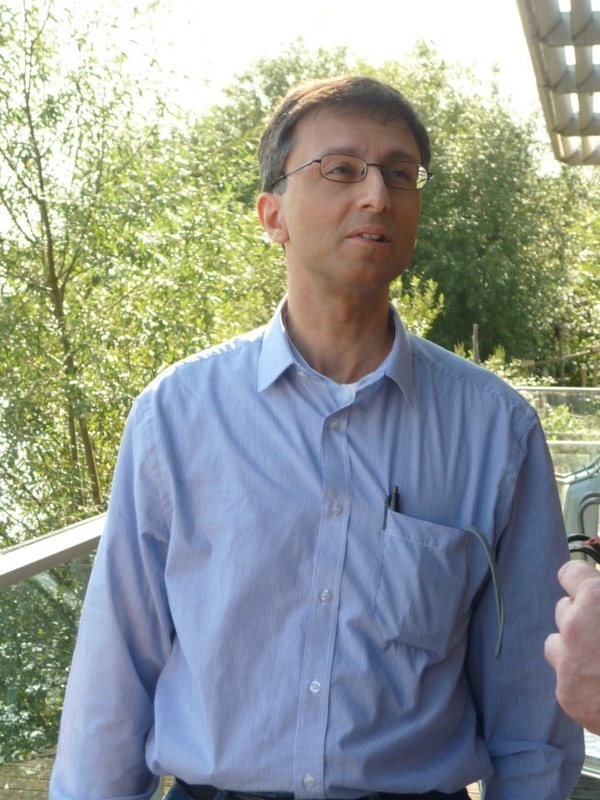 Anjar will continue to support WOC now and in the future. The Japanese players will have to pay for their own trip and hotel costs just as most players from most countries have to. I personally expect a full Japanese team. There are so many exceptionally good players in Japan that I find it hard to believe they won't be able to form a very strong team! 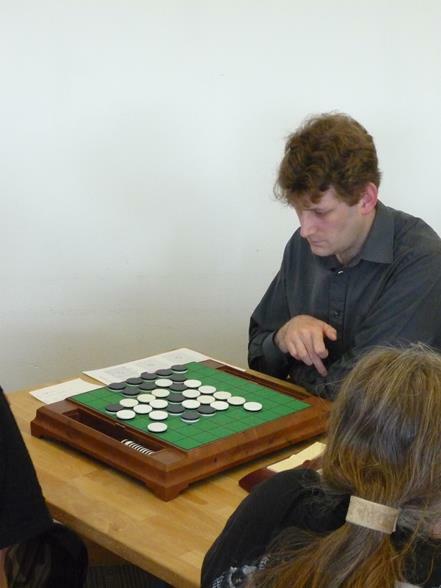 Karsten Felborg won the first edition of the Danish Championship in 1982 in Kopenhagen and this is his 15th Danmarksmester title. 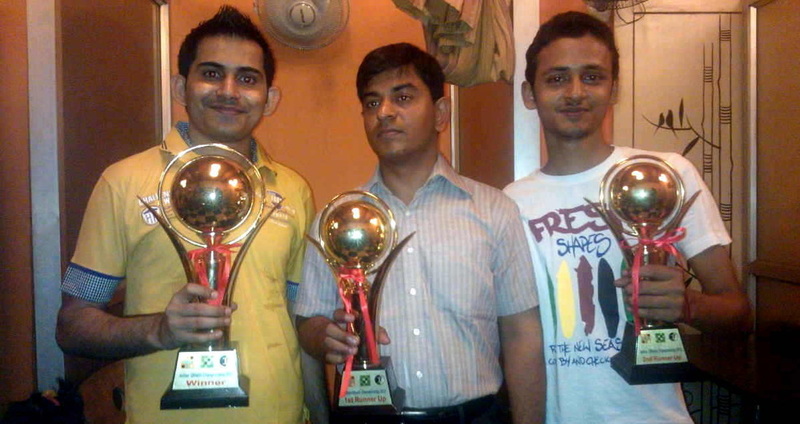 He faced 4 opponents, all eager to beat him. 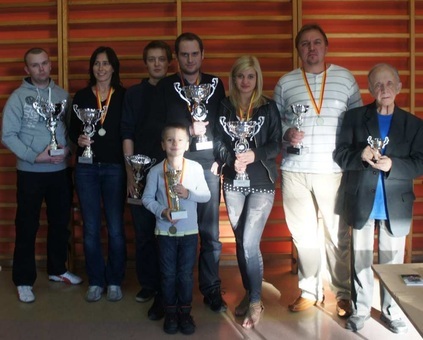 Among them the 2011 Danish Champion Palle Badsted. Henrik Vallund was Karsten's opponent in the final. 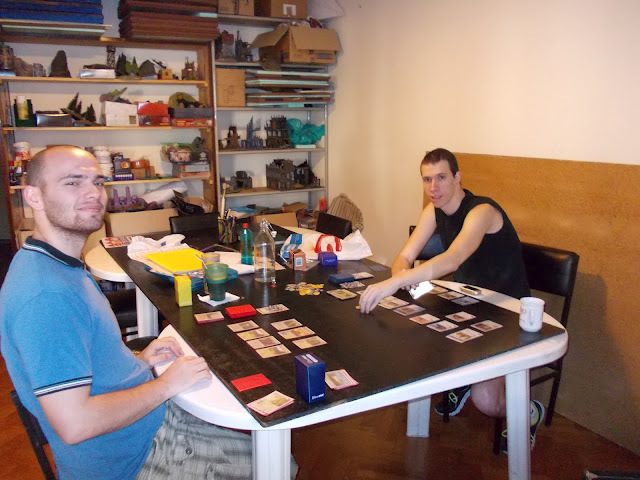 It was the first time ever these two veteran players opposed each other in a DM final. A very close game at 33 -31, congrats Karsten! 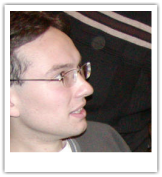 Danish Championship victories by Karsten Feldborg retrieved from a 2008 Wiki Book page. 1982, 1984, 1989, 1990, 1991, 1992, 1994, 1995, 1996, 1997, 2001, 2002, 2003, 2008. As many as 4 tourneys of the Danish tourneys were cancelled this year for lack of players: LF, Randers, Jysk and Hillerød. This is not just a problem in Denmark, Lots of European federations struggle to get enough people interested to play at on the board tourneys. 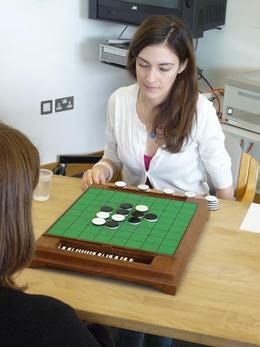 The majority of the National Councils of the European Othello Federation voted in favour of 3 proposals. Wellcome to Greece in the European Grand Prix circuit:. 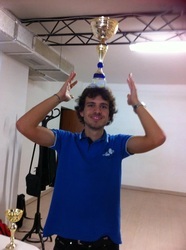 Greece will have its first EGP tournament in 2013. 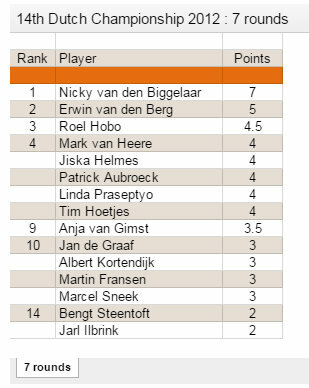 The European Grand Prix winner is determined by adding the number of EGP points scored in the player's best 4 tournaments. This rule will be equally applied to years with 6 EGP tourneys and to years with 7 EGP tourneys. 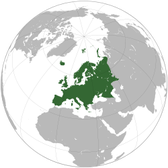 The countries on the 2013 European Grand Prix tour are: Belgium, Czech Republic, France, Germany, Greece, Norway and Spain. Mr. Goro Hasegawa, Mami Yamanaka, Seiya Kurita and Satoshi Kurahashi. 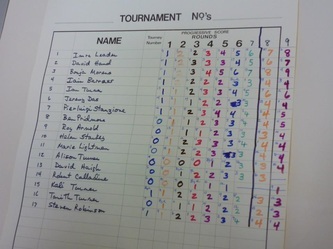 The games at table 1 were video-broadcasted live on the internet and even linked to this page. 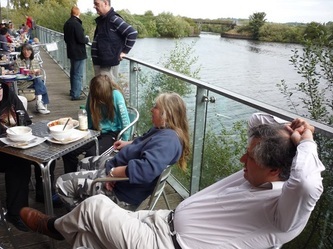 It was very interesting to watch. 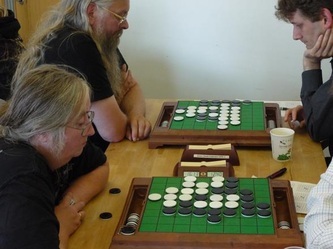 It would be great to have something similar at the World Othello Championship in November. 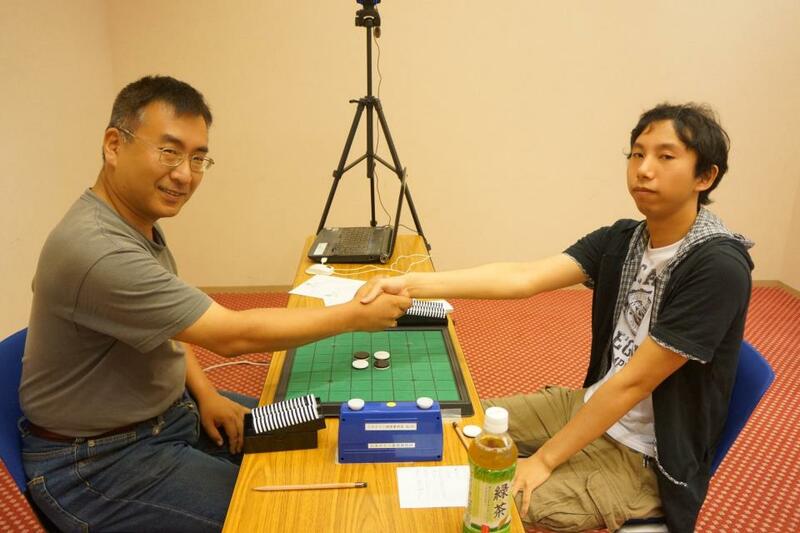 Seiya Kurita played an excellent tourney and won all his games. 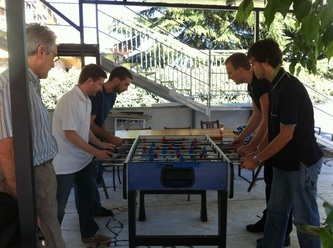 Six players ended with 5 points. 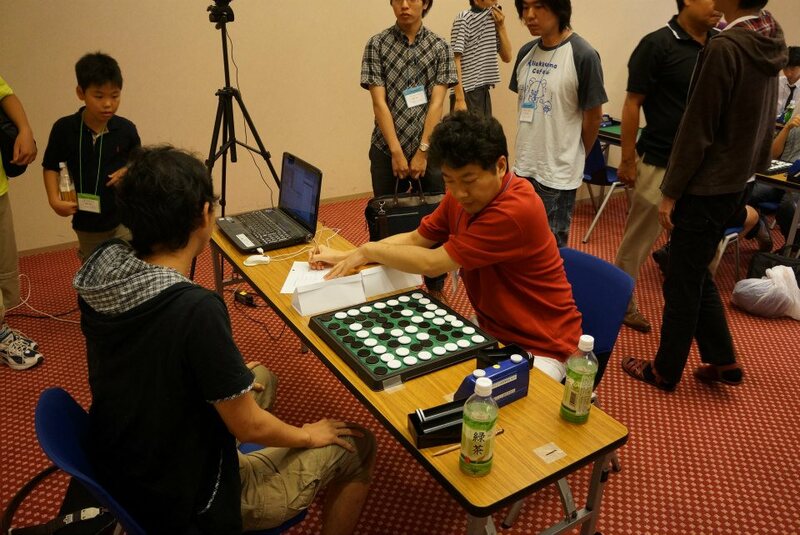 At the start of round 6 Kurita and Esaki were the only ones with a perfect score of 5 points and they played an exciting final game 33 - 31. 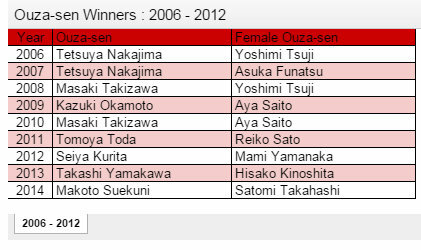 Mami Yamanaka was best female player with 3 points, runner-up Shoko Ide (also 3 points). The junior division Ouza-sen was won by Satoshi Kurahashi, a very talented strong player. 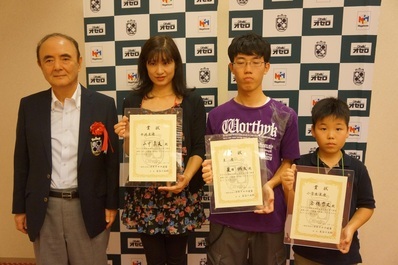 He is 2012 champion of Junior Grand Prix (that is a gradeschooler section of All-Japan tournament). 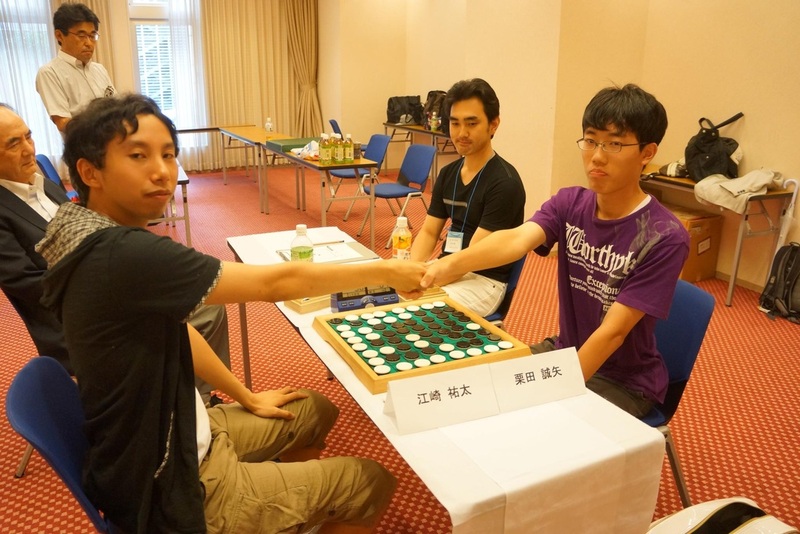 He also won the youth division of Meijin 2011 and finished third in Meijin 2012. Sunday: Semi-final and final matches. 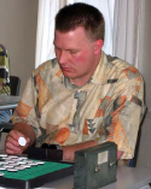 In 2011 the Swedish Championship was won by Hannes Sjöström. Second place Nils Berner and third place Henry Aspenryd. 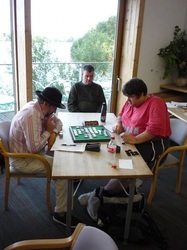 The 2012 final was very exciting and started with a draw game. 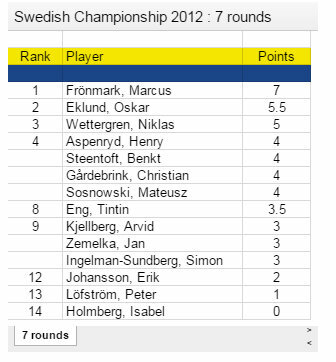 Marcus Frönmark won the next two games and won his first Swedish Championship title. 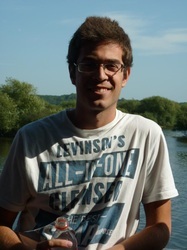 Marcus won the Nordic Championship 3 times, in 2009, 2011 and 2012. This was only the second Swedish Championship that he played in. 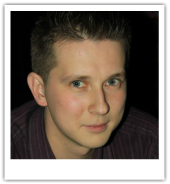 His first Swedish Championship participation was at the age of 14 in 2003. He ended 21st out of 42 players. 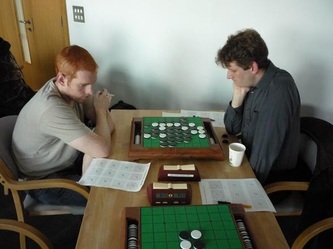 Runner-up 15 year old Oskar Eklund played his 4th tourney (Göteborg Open 2012, EGP Stockholm 2012, Göteborg Open 2011) and Liveothello viewers were impressed by his game-strategy. Oskar Eklund, Niklas Wettergren and Marcus Frönmark qualified to play in the semifinals on sunday. 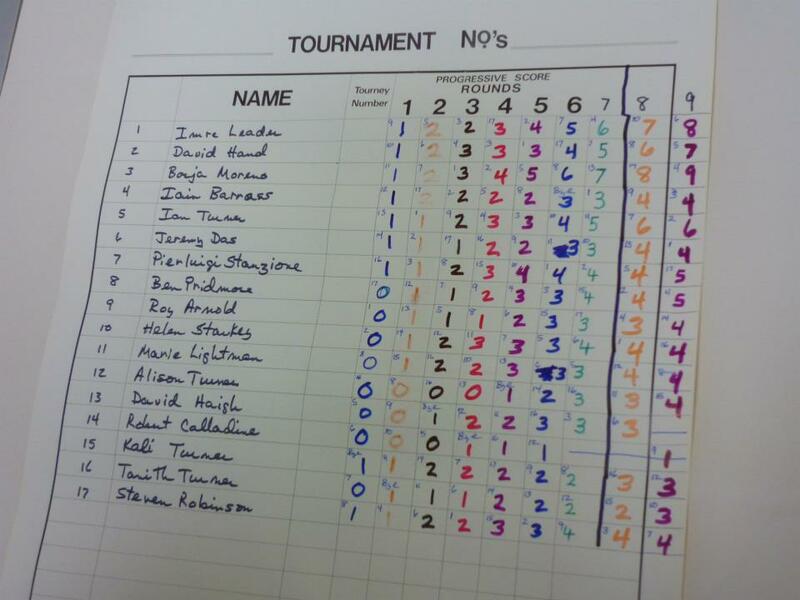 Henry Aspenryd and Benkt Steentoft did a playoff for 4th/5th place and the game was won by Henry Aspenryd 25 - 29. Marcus Frönmark, Niklas Wettergren, Göran Andersson and Caroline Odsell (best lady) qualified for the Swedish WOC-team.